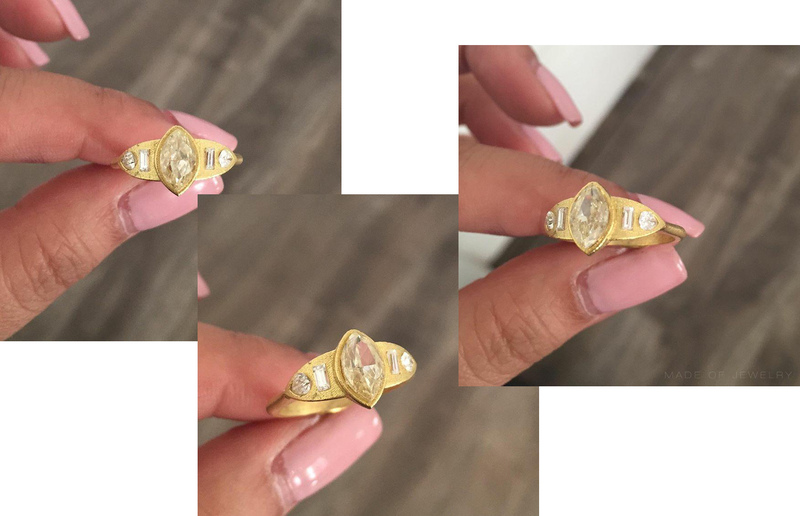 https://shopstyle.it/l/ZffaA little while ago, I asked Jacqui of Studio1040 if she’d like to team up with MoJ to create a beautiful ring together, here is the result! 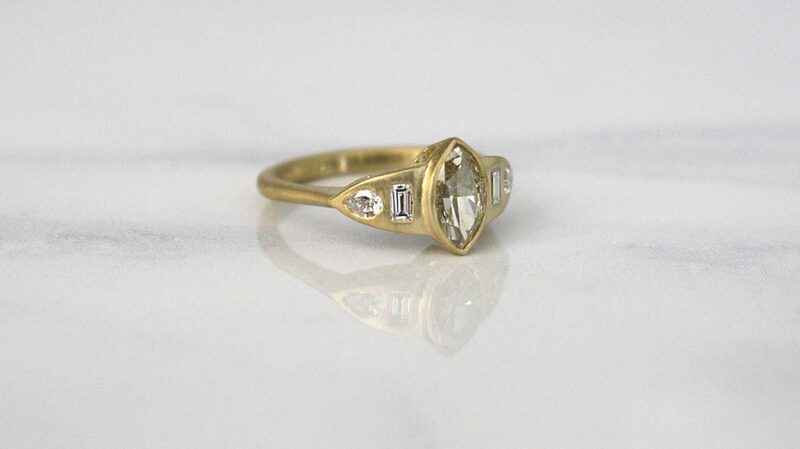 A beautiful three stone marquise champagne diamond, a ring with different diamond shapes. The design process went very smooth thanks to Jacqui. 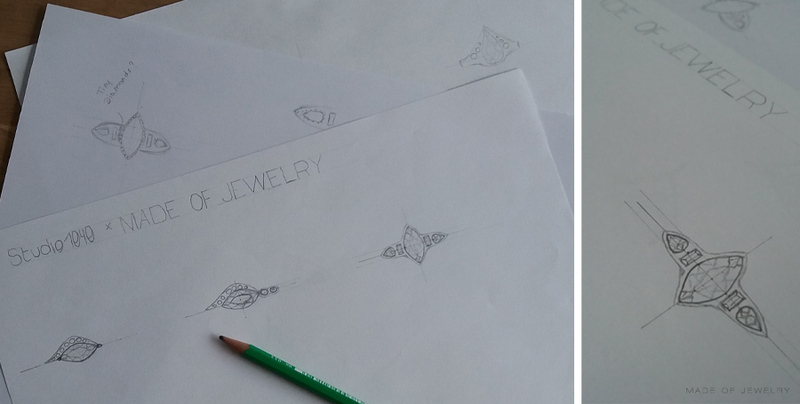 I had a few specific designs in mind which I drew the best I could as I actually have no drawing skills at all, leave alone drawing jewelry. Along with Jacqui, we worked on some details together. 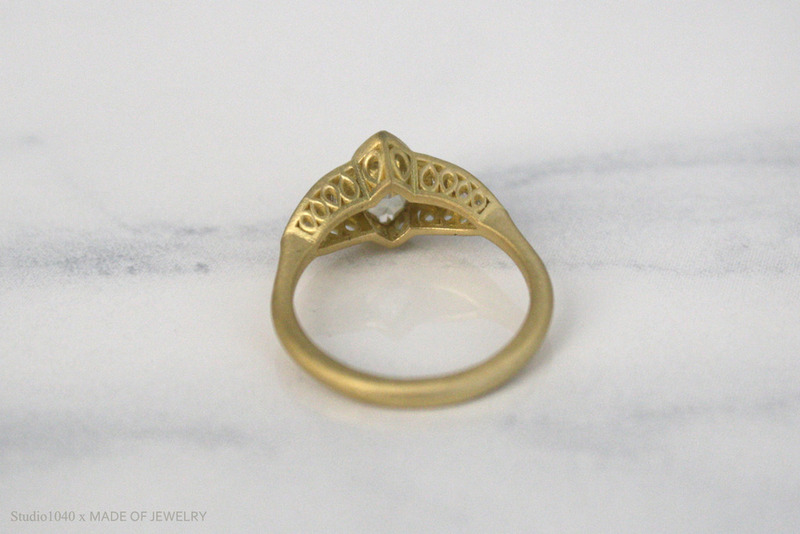 Below you can see how beautiful even the gallery of this ring is. Jacqui knows what she’s doing and her craftsmanship is impeccable! 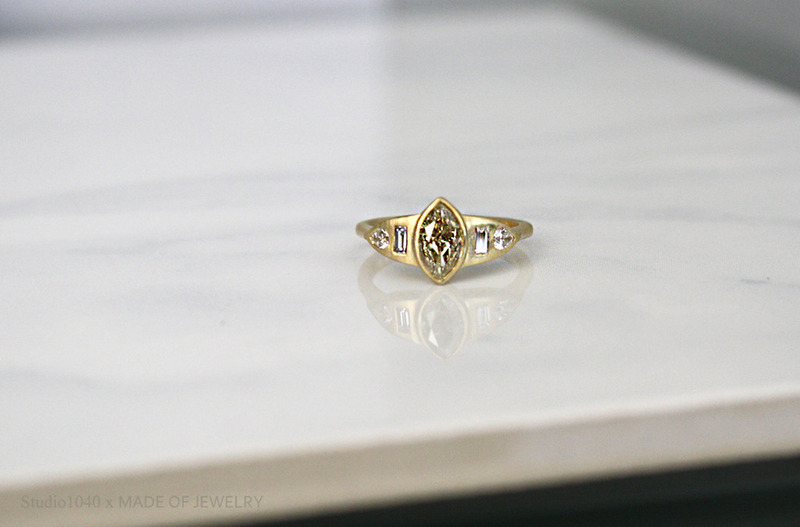 I can’t thank her enough for willing to create such a beautiful ring with me. 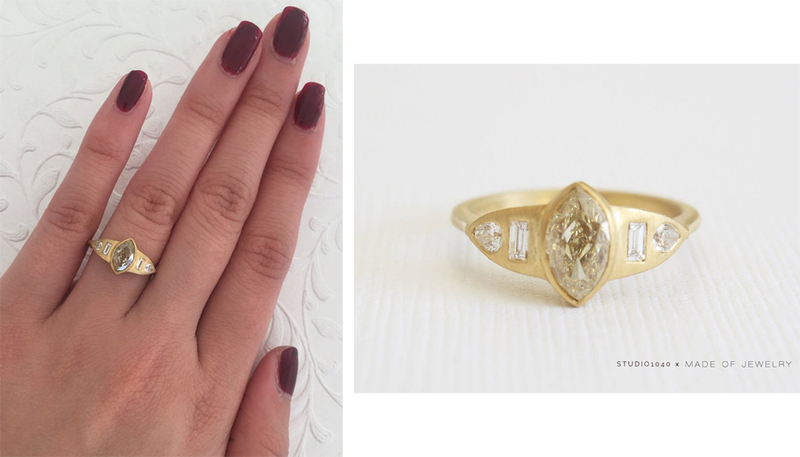 The ring is set with a marquise champagne diamond which is flanked by baguette and pear cut diamonds on each side. Jacqui from Studio1040 or shop it here. 5. trying to make it more special by adding milgrain and even tried by extending the edges. 6. but we ended up with the actual design with a matte finish!